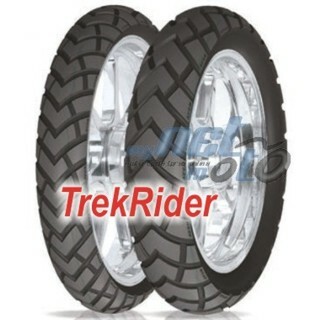 Avon TrekRider - is Avon’s first adventure tyre that offers a 50/50 split of on road versus off-road performance. Designed for light to medium trails, the tyre works as well in mud and gravel as it does on asphalt. This new tyre will make choosing tyres for an adventure bike much simpler. Often when selecting the best road bike tyre, performance can be limited when riding on mud, but with a full-on dirt tyre, a bike’s roadholding can be affected. Avon’s new TrekRider has been designed to cut out any of this compromise.